The great thing about it, in addition to teaching kids about how plants grow and the parts of a plant, is that it’s an activity that can be done inexpensively and often using upcycled materials. 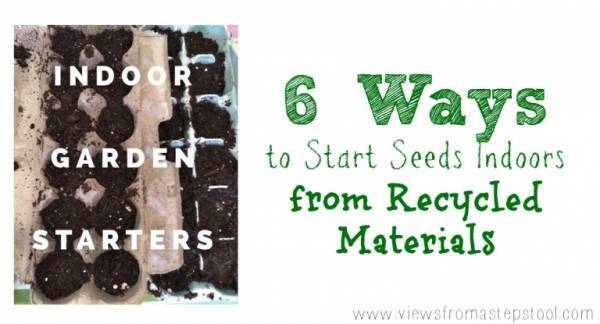 Views from a Stepstool has a look at six ways to start seeds using recycled materials, from egg cartons and juice boxes to dryer lint (yes, really). Kids always get so excited to plant seeds and watch them grow, and these are some really fun ideas. Have you ever started seeds with kids? How did you do it?